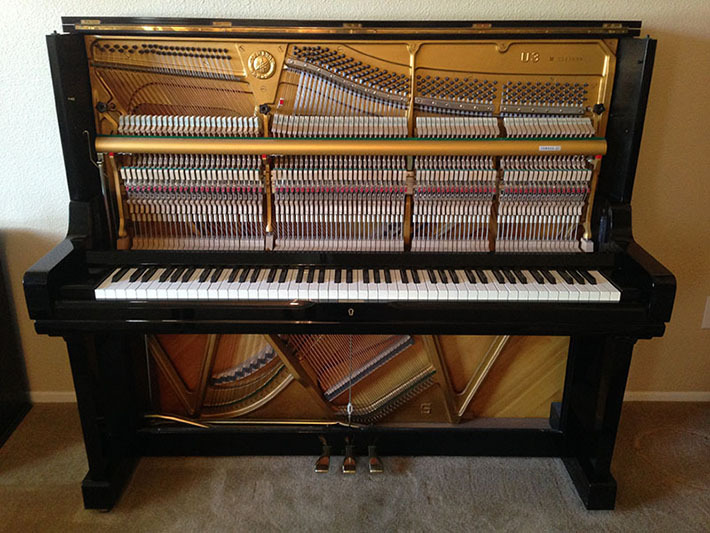 What do you do when your piano has flood damage? What if a leaky roof led to water dripping from the ceiling, or flooding submerged the piano in inches to feet of water? It may not be as bad as you might think but you must educate yourself and take action immediately if you want to salvage your instrument and prevent irreparable damage. I’m going to share with you the X most important steps to protecting a piano from serious damage after a flood. When is it too late? If the soundboard of a piano has sat in water for multiple days, if the strings have been submerged in water, or if the keybed has become soaking wet, the piano may be ruined beyond repair. How to Protect My Flooded Piano from Permanent Damage? Dry the piano. Just like when drywall is exposed to water, the wood in piano needs to be dried as soon as possible in order to prevent mold growth, but also to prevent the glue that holds many structural components of the piano together. 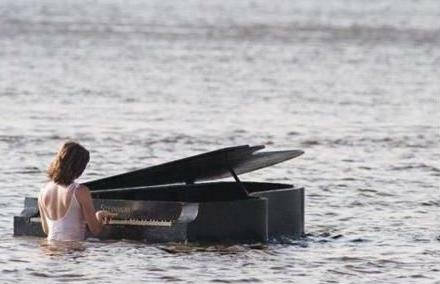 If a piano sits in water long enough it can literally come apart. Disinfect the inside of an upright piano. 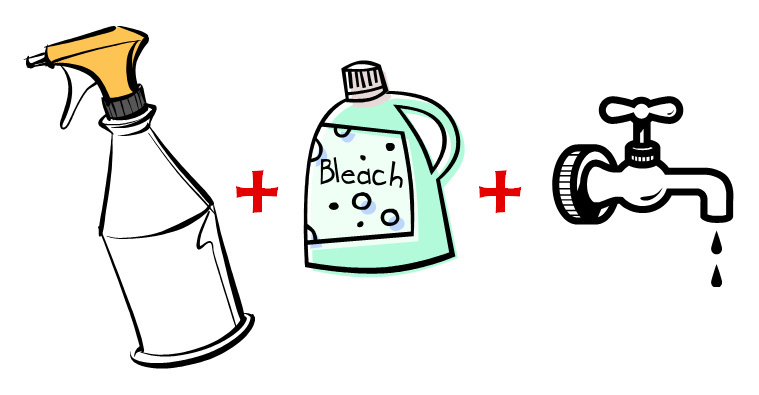 Mix 9 parts water and 1 part bleach into a spray bottle, and mist the inside of an upright piano. If a grand piano has water on the inside of the frame, the piano is most likely not repairable. If you have an upright, remove the front panel of the piano and spray the inside of the piano on the back and side panels. You may spray the outside of the piano but your risk damaging the finish of the piano. Fan and dehumidify the piano to remove moisture. Using a high powered fan, fan the inside of an upright piano. Remove the front panel of the piano and pointing the fan at an angle towards the center of the piano, fan for at least 48 hours. The goal is to create an airflow that will remove moisture from the wood. This is the best way to prevent mold and deterioration of the frame. Ensure a stable climate of 70 degrees during this process. If the room is too warm, you can increase the relative humidity and cause even more damage to the piano, if it is too cold you can prevent water from evaporating and leaving the wood. 70 degrees is the recommended temperature for a piano and ideal for removing water. Contact your insurance company immediately. Describe the damage to your piano, notify them that you are working to protect the piano but that it may need significant repair or replacement. You may be required to give your policy number, or other identifying information as you file your claim and your insurance adjuster may request photographs of your piano. It is highly recommended to keep records of every conversation you have with your insurance adjuster so keep your notepad handy. Follow the four steps I provided above. When it comes to water damage, there is little that can be done, but removing the water as quickly as possible is the best way to protect your piano from irreparable damage. Take care of anything else you need to take care of and remember to be patient. If your piano was damaged from flooding, it is more than likely that other items of property were damaged as well. I’ve personally been through three hurricanes and two homes with flood water in them. It is stressful and not fun. It’s important to know that assessing and completing insurance claims after natural disasters takes time and if you follow the steps i’ve provided, you’ve done the most you can to help. Take care of your family and the rest of your property. Last note: contact a piano technician for an appraisal of the piano. If you would like to know the full extent of damage or the value of your piano you probably should have a professional appraisal performed. These cost around $100 dollars normally and help provide peace of mind .